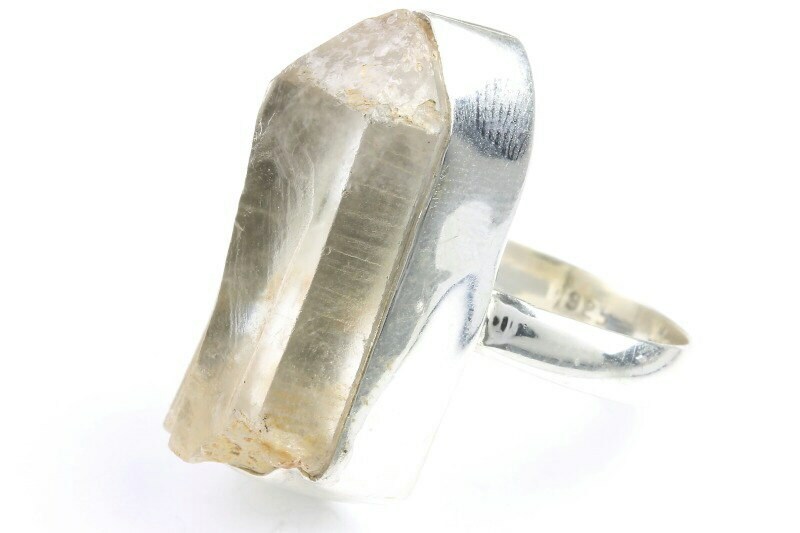 Raw Quartz crystal encased in thick sterling silver setting. This is a handmade piece and may have slight imperfections that add to the character of the piece. Please note this is a genuine gemstone piece. 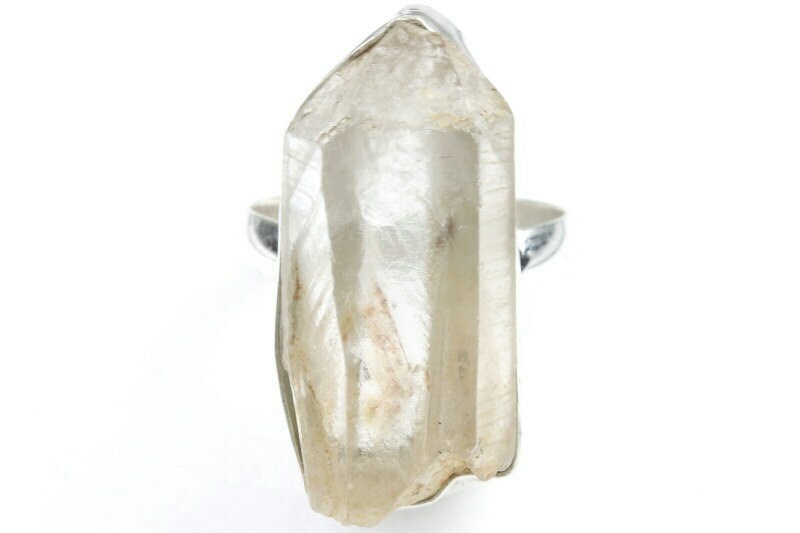 These stones are made nature, each piece is unique and may vary in size and shape from what is shown.